Our customer was tired of a dusty basement and contacted Dependable Concrete Contractor to install a new concrete floor with an epoxy finish. We used a product from Sherwin Williams called H&C Shield-Crete. One application is all that was required. A contractor that can do concrete work should have no problem applying this product. 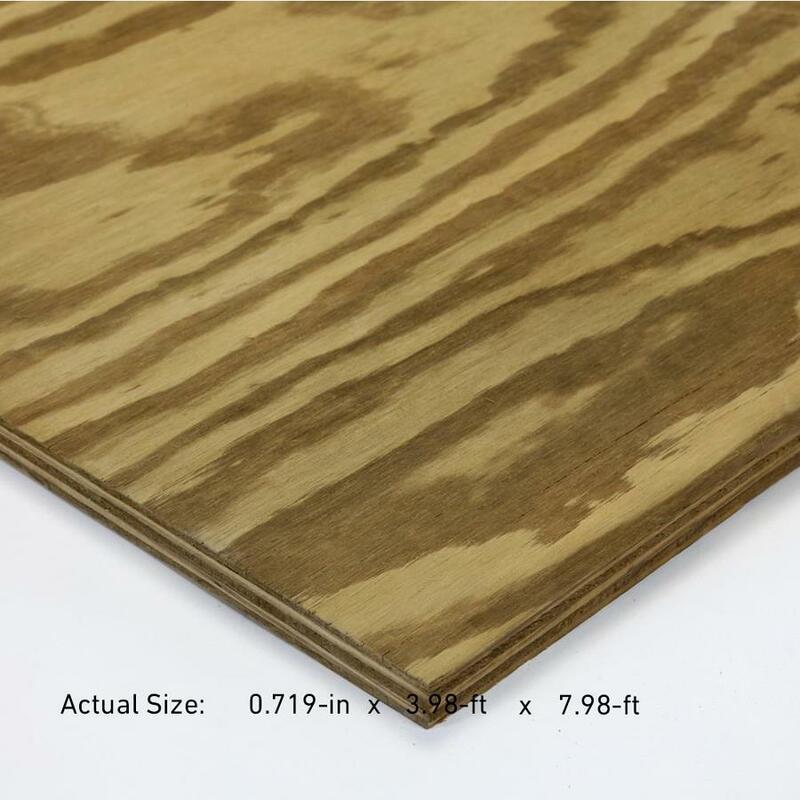 The cost of each kit was $149.00 and according to the manufacture, will cover 200-250sqft. I only got 150 sqft per kit and used 3 kits. The kit comes in a 2 part liquid that has to be combined and mixed with a small mixing paddle and low speed. A high speed drill will create bubbles in your epoxy finish. Because we installed a new concrete floor, its was critical to wait 28 days until the floor was fully cured. If you prematurely apply epoxy to a drying floor then certainly the epoxy will fail. Concrete work contractors who ignore this critical step will fail at satisfying their client in the long run. There are several advantages to installing an epoxy floor. Please leave a comment below, like and share this article. 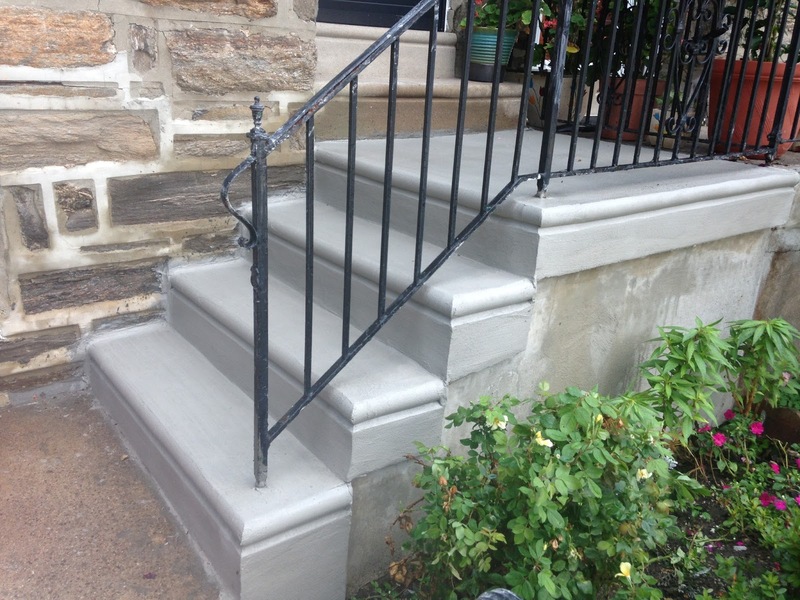 I resurfaced 4 damaged concrete steps in Philadelphia that were suffering from discoloration and deterioration. The customer was not happy with the condition of the steps and called my company Dependable Concrete Contractor to revitalize her steps. I used a product called “concrete renew” which restores and protects the concrete. The job took me 1 hour to complete and the client was delighted to see that her steps looked like a full replacement job but at a fraction of the cost. Philadelphia weather is brutal to concrete because of deicing materials which contains salt. Be careful and read the package of the deicing material you plan to purchase. Some say “concrete safe” which is false because if it reads sodium on the package then it contains a harmful element to concrete but with slight less harm. Calcium chloride is a much better solution however calcium is very expensive and you have to consider a cost benefit analysis when making the purchase. Here’s an article “Why is salt decaying my concrete?,” explains the mechanics of salt’s process of concrete deterioration. Replaced weather damaged steps with new bullnose concrete steps. Last winter was not kind to our client’s steps. After reading our reviews and viewing our “YouTube channel” our client decided that we were best qualified to replace her concrete steps. Of course, this was a great decision. We used Fibermesh 150 with enriched 4000 psi concrete to prevent cracking and extend the life of the new steps. Philadelphia weather is brutal to concrete because of deicing materials which contain salt. So be careful to read the package of the deicing material that you plan to purchase. Some packaging disply “concrete safe” which might be false because if the package also reads “sodium” then it contains an element that is harmful to concrete steps and concrete walkways. So it can still be harmful only slightly less so. Calcium chloride is a much better solution, however, calcium is very expensive and you have to calculate a cost beneifit analysis when making the purchase. Here’s an article “Why is salt decaying my concrete?” which explains how salt causes concrete deterioration. We provide our clients with a 5-year warranty on a full replacement of their concrete steps. There’s no reason for concrete steps to crack unless there is a settlement issue in the area. For instance, in the article, “Logan: Still Sinking After 25 Years,” it states that 100 homes on occupying 35 acres had sinking concrete foundations. In our experience, we have also witnessed neighborhoods such as Mt Airey and West Philadelphia also suffering from improper compaction of land that is unsuitable for home construction. As a concrete and cement work contractor, we ensure that our concrete and cement work is protected from settlement. We examine the concrete work in the area for evidence, then we add extra reinforcement such as deeper footings and rebar. 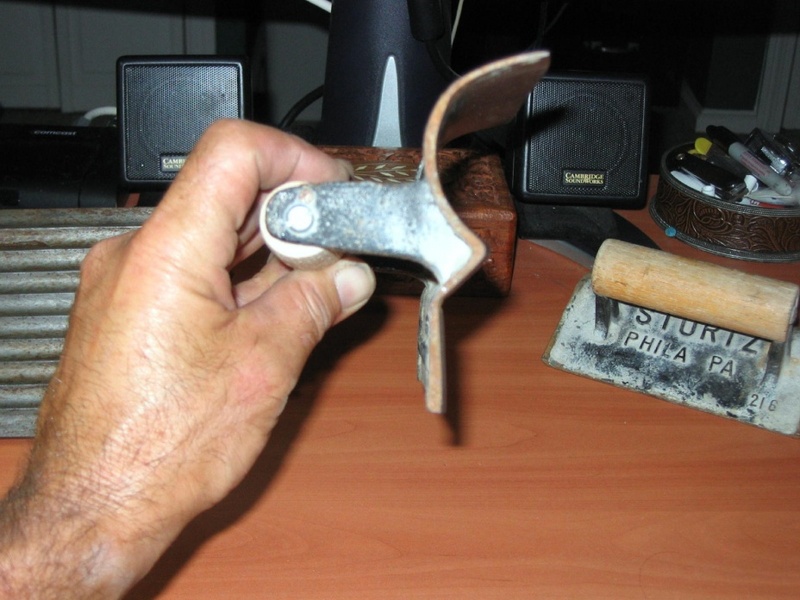 We use a tool called a “bullnose tool,” which shapes the “bullnose” design into the concrete step. Watch the video below “How to repair Concrete steps in 2 min” to see how we apply the bullnose design to concrete steps with this bullnose tool. After your new concrete steps are installed, a new railing usually follows or the original is reinstalled. In either case the drilled holes must be at least 4″ from the edge of the concrete. This is important because the closer the metal post of the railing is to the edge of the concrete step, the higher the probability of the step breaking or cracking from the lateral force that occurs from use. Therefore the contractor installing the new or existing rail must be made aware of this. We have repaired many broken corners and edges because of this. As stated above the best deicing material to use is calcium chloride. If not properly used, ice scrappers that remove ice from steps, are problematic to newly installed concrete steps. When chopping at the ice you are also chopping at the cement step’s finish coat. Breaching the finish coat allows deicing materials to penetrate into the core of the concrete steps, causing a rapid deterioration of the concrete work. Make the down payment deposit with a credit card if possible. If the contractor is a no show then you can initiate a “charge back” with your financial institution. Dependable Concrete Work Contractors have been doing cement work in Philadelphia for 35 years. We take pride in our concrete work and we are willing to share our expertise through our catalog of videos and blogs. Please follow us. We were contracted to install 5 new square concrete steps in front of a new emergency exit. 90% of the time we use 2×8 lumber for the concrete step risers and 3/4″ plywood for the side board. 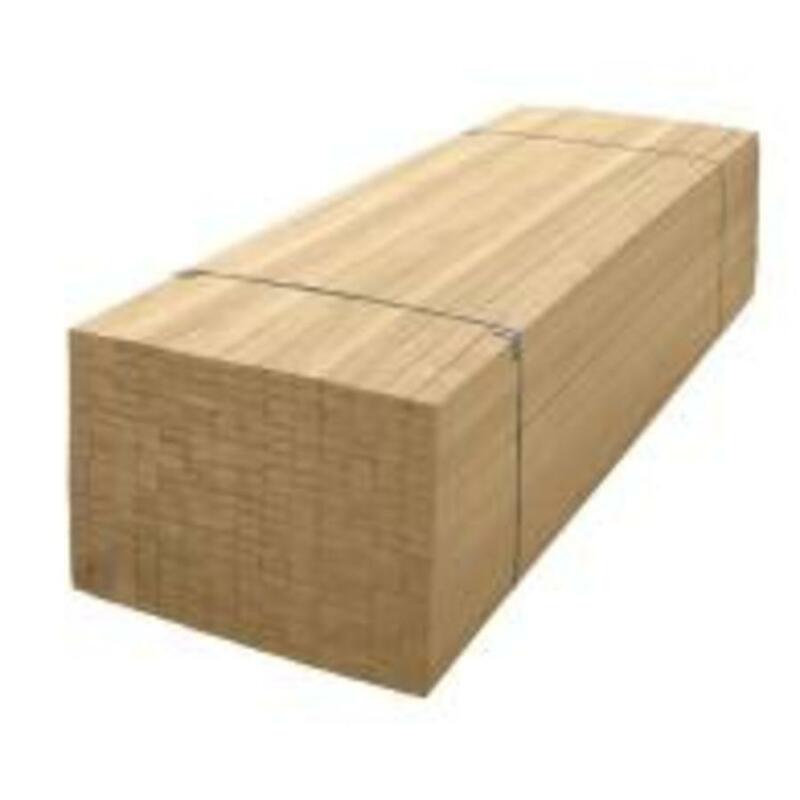 We stiffen the side boards straight with 3 long 2×3 horizontal support see photo below. If the form work is not accurate then the concrete steps will reveal the errors from improper leveling, plumbing and measuring. Forming and layout is an absolutely critical step in concrete step construction. Ignoring industry standard practices will result in a failed project. 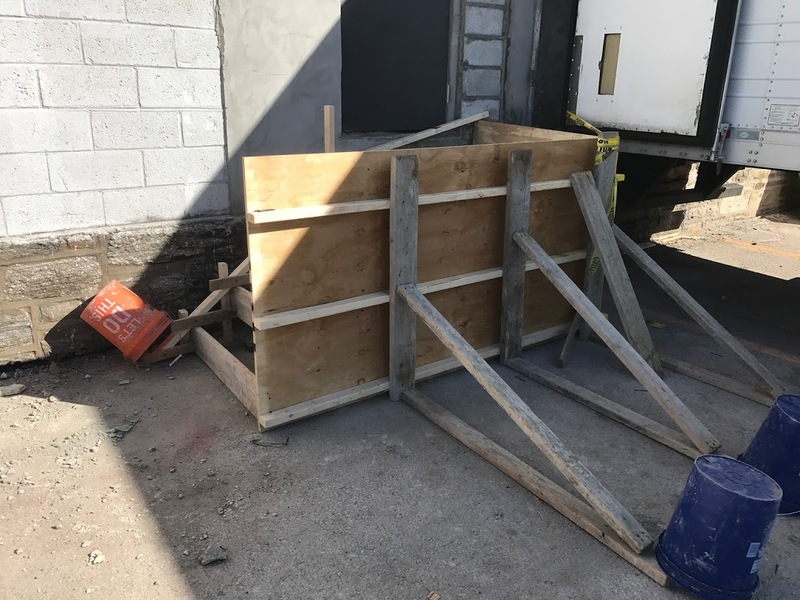 Novice concrete work contractors suffer with this phase either because they underestimate the weight and lateral force of concrete or a unclear understanding that the form work represents the negative mold. The final stage is applying the finish coat. We use 1 part cement to 3 parts bar sand. To achieve a thoroughly mixed batch we use a drill with a paddle. Cement must be added to the raw concrete steps to shape the edges, corners and honeycombs after pulling the forms. For traction we broom finish the treads of the concrete steps. See video below for a display of these steps. Concrete work takes 28 days to cure to full strength. However, after 24 hours the Concrete steps are accessible to traffic. Concrete repair like resurfacing concrete steps requires much less time since the density of the material is much less. Within 2-3 days depending on temperature, a sealers and paints can be applied to concrete or cement repair work. See our Youtube video on concrete step repair. Dependable Concrete Work Contractors have been doing cement work in Philadelphia for 35 years. We take pride in our cement and concrete work and are willing to share our expertise through our catalog of videos and blogs. Please follow us.